We get a lot of questions about our Business Education library of content and how it works, how it’s used, and what it covers. We’ve gathered a lot of those answers into one place for you here. As you continue, you’ll read about how a couple great teachers are using Business&ITCenter21 in their classrooms. You’ll also learn about some specific content we cover in some general business areas. You’ll also discover how we partner with you to help prepare students for the workplace with real, employable skills. Finally, you’ll find some ideas for finding additional resources for business education lesson plans. If you only want the best for your classroom, check out our top 10 business education lesson plans. Lori Hooper is a computer applications teacher at Berrendo Middle School in Roswell, NM. Hooper is always looking for ways to help her students learn and for effective tools to make that happen. Here, Hooper shares how her online content library provides her with Microsoft Office 2010 lesson plans and projects. Hooper, a self-proclaimed Type A teacher, likes to run her classroom with routine. So, when students arrive, they begin with keyboarding practice. After that, she assigns an module from her library of online content for students to begin or continue working on. As students work through the content and assignments provided in the online program, Hooper navigates the classroom, facilitating students, and providing assistance where needed. As time passes, and some students begin to complete the module, Hooper adds more. At that time, she also sets a deadline for the first module so that the rest of the students can wrap them up. And she gives stragglers time catch up outside of class to finish up. When a module has been completed, Hooper assigns the related project included with the online content library. And so one efficient tool is providing Microsoft Office 2010 lesson plans AND projects. And the program isn’t static. Based on feedback from teachers like Hooper, the program changes to accommodate needs expressed by teachers. “With the little changes that are released, you make Business&ITCenter21 so helpful in the classroom. Each new change just makes life just a little easier and a little easier,” Hooper says. Those changes are pushed out automatically. There is no need to install or download anything. Hooper shared that in using the online program in her courses, she’s undergone a shift in perspective. Using advice that a veteran teacher gave her years ago, Hooper’s mantra is “teaching students; not subjects.” For Hooper, her students’ success is based more on their learning and less on their grades. Her students can go on to high school and create a PowerPoint for science class and develop an essay in Word. They can navigate programs and even be successful in a summer part-time job with the skills they learn in Hooper’s courses. That is learning. For a teacher that will see approximately 400 students this year, tools and resources that are easy to use and help manage the classroom are like gold. This is true of Bernadette Green, a teacher at Southeast Guilford Middle School in Greensboro, NC. So how does Green manage all those students wither her middle school computer application lessons? She’s a rockstar! One of the tools that Green uses with her 6th, 7th, and 8th graders is the online resource, Business&ITCenter21. In fact, Green uses the program extensively for her 7th grade Computer Applications course and her 8th grade Business Finance Information Technology course. Green puts the power of success into her students’ hands. She allows them to control how they get through content. On Mondays, Green gives her students their assignments for the week, due on Friday. Students then work through the Business&ITCenter21 content online independently throughout the week. The students like the control and independence this arrangement gives them. If students fall behind, they can catch up at home with the anytime, anywhere aspect of the online resource. Additionally, Green makes use of the quizzes and tests included in the program. She is able to set up her courses to allow students to reset their own quizzes a few times, giving students even more control over their learning. Early on with the program, Green noticed that although Business&ITCenter21 is engaging with media, audio, video, and interactivity, some students still struggled to take in all the content. And so Green spent some time (time that would otherwise have been spent accumulating and organizing content into lesson plans) developing study guides for each lesson in the program. Now students get a packet of materials at the beginning of each unit and they fill in outlines and answer questions as they go through the program. And when students have completed an online unit, Green has them do practice and reinforcement activities. Some of these assignments are included in the program. But Green has also created some assignments for students to complete. In today’s crowded classrooms and increasing amount of standards to cover, tools that help teachers keep students on task and moving forward through content with success and proof of learning are invaluable to teachers like Green. According to our blog statistics, our most popular posts involve lesson plans. And today, talk among us at AES says that our new Introduction to Economics content is pretty slick. So, you want lesson plans + we have some cool new content = a blog post on business education lesson plans for economics! I’m just going to go ahead and give you our lesson plans, people. Even if you don’t have our online resource, you can still use our outlines for these three business education lesson plans for economics. This unit introduces the topic of economics to students by first examining the definition of economics. During this examination economic concepts such as scarcity, choice, and rational self-interest are taught. The student is then shown why money exist, the functions of money, and some effects of product pricing on consumer behavior and business profits. Finally, the student learns about competition, market structures, such as a monopoly, and the effects of barriers to market entry. Lesson 1 –What is Economics? And more Economics Units are coming soon, including Economic Systems in July 2013 and Supply and Demand in September 2013. If you’d like to see our actual content for the Introduction to Economics unit, start a Free Trial today and start using the online curriculum resources with your students! The wait is over! The first unit of International Business, The Global Economy, is now available in the catalog. The lessons for this unit include: Global Economics, International Trade Part 1, International Trade Part 2, and Influences on the International Business Environment. In addition to these learning objectives, your students will hear new terms such as goods, services, products, imports, exports, etc… On top of all that great information, we endeavor to help students have a little fun. We’ve got a great character named Chuck (a tennis shoe) helping them along the way, a student worksheet to help them take notes, lots of questions and interactions, and even some cool music. The first unit of Entrepreneurship has been released as well! In this unit, students will attend a workshop on becoming and entrepreneur. In Being an Entrepreneur, students are not only given the definition of entrepreneurship, they are given many examples of well-known entrepreneurs. They also have the opportunity to hear the experiences of three self-made business owners who are eager to share their stories. If you have some time to audit these units, we’d love to hear from you! By taking a look at these courses, along with their additional materials (teacher manuals and PowerPoint presentations), you can get a jump start on working these modules into your lesson plans for the upcoming school year. It’s graduation time again. A whole new graduating class will be entering the workforce. But are they ready? Are they really prepared for the adventure that awaits them? Do your business education lesson plans include adventure?! I found this article, Preparing Students for Success in the Work Place, that raises some important points about student preparedness. I think it can be summarized into three main questions we need to ask when developing business education lesson plans: Are students able to work in groups? Can students verbally communicate effectively? And do students know how to exhibit professionalism? When you really boil it down, are you teaching your students life skills? We often hear from educators that soft skills are some of the most difficult to teach in the classroom. How do you let students practice for the real world in a safe environment? One solution is to role play. However, there is a downfall to role play. In addition to the collective groan you may hear from students at its mention, are your students taking risks in their solutions? Are they learning multiple consequences effectively? Another solution is to let them practice in some scenario-based online curriculum. A bit of a “choose your own adventure” style lesson where students can explore safely. If you ever read those Choose Your Own Adventure books, you could always sense what the “right” answer was. But wasn’t it always fun to select a “wrong” path, just to watch your space ship blow up or let the knight get eaten by the fire breathing dragon? Students can benefit from making incorrect choices just to “see what happens.” Let them explore and make many different choices. Many of our new business lessons allow students to explore in this way, including Teamwork and Business Ethics. Not every student will attend college. It’s not the most inspiring fact, but fact nonetheless. With the increasingly high cost of an education, those who do attend college are choosing to work to offset the need for student loans. With that said, are your lesson plans for business education preparing students for real life? Business education teaches some of the most useful basics of life. We often include things like how to write a check, balance a checkbook, create a resume, interview, etc in our lesson plans for business education. These are all wonderful skills that we must have to survive in the real world. However, are we so focused on specific skills that we’re missing some key elements? Business has evolved since the conventional school model was created. In the 21st century, businesses want more. While people who do the job they are given are needed in the workforce, businesses are seeking innovators. Businesses want people who think critically, solve problems, and stretch limits. They want people who dare to question, seek unconventional solutions, and can communicate ideas clearly. These are markers of the employees that will help a business become better–stronger. Every student can exhibit these traits to some degree and you have the power to help them get there. How do we cultivate these skills in lesson plans for business education? These are just some ways that you can get started. I know you can come up with even more creative and fun ways to help students transform into critical-thinking, innovating machines. I’d love to hear your ideas or techniques you are already using! Share them here in the comments section. Is Microsoft IT Academy Certification Enough for Employers? Certification through the Microsoft IT Academy can be beneficial for students. Even when not required by employers, a certification can give a student’s resume an advantage over the competition. A certification can also give the student confidence during the interview process. However, a recent study on global job creation, published by Ernst & Young in January, reveals an urgent need for workers with both industry-specific skills and the ability to demonstrate soft skills like critical thinking and judgment and decision making. Business leaders and hiring managers alike are struggling to find employees who have the skill sets needed to fill jobs. So Microsoft IT Academy certification is great, necessary even, but is it enough for employers? The Microsoft IT Academy is a great tool to help students that want to achieve certification for Microsoft products. Microsoft supplies the software, lesson plans, e-learning content, test prep. They also write the actual certification tests. The company is clearly in the best position to help students who want to get certifications. Teachers and administrators understand the importance of certification, but they also understand that it’s not the only piece in the business education puzzle. It’s just as important for students to learn soft skills, problem solving, applied creativity, and critical thinking. Career and Technology educators are being asked to demonstrate the relevance of curriculum towards the common core academic standards. You know that it’s important for students to understand how to apply the academic skills and concepts in real-world scenarios. The Microsoft IT Academy is the best way to gain a Microsoft Certification, but it’s not going to help your students in all aspects of your curriculum. Microsoft uses the same e-learning material for professionals and students. The content leads to certification but may not address state and national education standards. The days of finding a single curriculum resource to meet the needs of your students is over. You aren’t going to be able to find a single text or tool that delivers everything. The best teachers are mixing and matching resources from many different sources. The best for one topic may be a free youtube video, and the best for another topic may be a paid iPad game. My recomendation for teachers who want students to pursue certification? Use the Microsoft IT Academy. The cost to schools is relatively low and they provide the best certification prep material. Take a close look at the material so you understand how it fits into your curriculum and where you need to add additional resources. Take a look at the AES Business&ITCenter21 content to help teach core business concepts and soft skills. Continue using sites like Virtual Business from Knowledge Matters. Search for free resources from the Internet. Compare notes with other teachers to find out what is working for them. Whatever you decide….don’t limit yourself to a single textbook or web site. Give your students the best you can find for each topic that you need to cover. Your students certainly won’t use a single tool when they enter the workforce. Must You Address All Types of Learners in Your Business Education Lesson Plans? We’ve debated the relevancy of types of learners theories on our blog already. Even among our staff, we agree to disagree on this topic. The one thing we do agree on is that a variety of teaching tools and methods makes for a more interesting and effective learning experience. So do you need to address all types of learners in your business education lesson plans? What should you include in your business education lesson plans? And where can you find good tools to incorporate into your existing business education lesson plans? We all may have ways that we prefer to learn. But those preferences do not at all make us incapable of learning by other means. So do you NEED to address all types of learners in your business education lesson plans? No…and yes. You are not a failure as a teacher, nor are your students going to fail your class, if you do not address all types of learners in your lesson plans. Your students that prefer to learn visually will also listen to you. Your students that prefer active learning will watch your presentation. However, no one in your classroom is going to be engaged if you don’t mix up your methods of delivery. Even Ben and Jerry’s gets monotonous if you don’t switch up your flavor now and then. What should you include in your business education lesson plans? WARNING: If you’re not religious, substitute something else here, as political correctness just took leave of my cubie. On Sunday, the message at my church was about what it means to be a church. Among other things, the pastor was addressing the increasing requests for separate services: one contemporary and one traditional. Our pastor is against this arrangement (as am I). Currently we have two identical services that include both traditional and contemporary elements. He spoke about the need for the congregation, young and old, to “bend” a bit towards one another. He wants us to enjoy worship as group, unsegregated by things like age and musical preferences. Can I say “Amen” here? Now, imagine your students signing up for courses based on their learning preferences. Ick. How well-prepared for the real world would our kids be if we cater to them down to the level of their learning preferences? What happens the first time they hit the workplace and have to learn (or teach) something new? Back to my church story…When I walk in on Sunday mornings, I have no idea what is going to happen. There’s a level of excitement and anticipation each time. Did you read that? Excitement and anticipation. Whether you have a fear of or glory in the unknown, I think we can all agree that it is at the very least interesting. I’m not suggesting that your business education lesson plans include mountain-climbing one day and exotic food tasting the next. But if you aren’t adding any level of the unexpected to your lessons, prepare yourself for a few yawns and empty stares and even some dismal test scores. I’m also not suggesting that your lesson plans have no structure. Even at church, I know that there will be about 30 minutes of some kind of worship followed by a ~40 minute message. But the unexpected ways that we worship and learn is always a mystery. Where can you find good tools to include in your business education lesson plans? You probably don’t need me to tell you this…but maybe a reminder would be helpful if you haven’t considered these options for awhile. Online learning tools are fabulous and flexible. You can have students do a bit in class, then finish up at home. Some days you can dedicate a larger portion of class time to online learning. On others, assign it as homework. If your online learning tools include things like PowerPoint presentations, you can start your class with one. Or end your class with one. Or gather everyone together right in the middle of class time and do it then. Online learning tools are a great way to mix up your lesson plans. Guest speakers never fail to get students’ attention. And business education is such a great topic for guest speakers as most people are working for or are associated with a business. And everyone has to deal with personal finances. Drag your neighbor in to talk about his household budget. Pull in your niece to talk about how she’s funding her college education and dealing with student loans and scholarships. Have your economic buyer talk about grants and purchasing supplies. The opportunities are all around you. And just to make things even more interesting, have your guest show up in the middle of class rather than at the start of class. Microsoft IT Academy offers some straight-forward computer applications training towards certification. Throw a few minutes of that into each class as well. 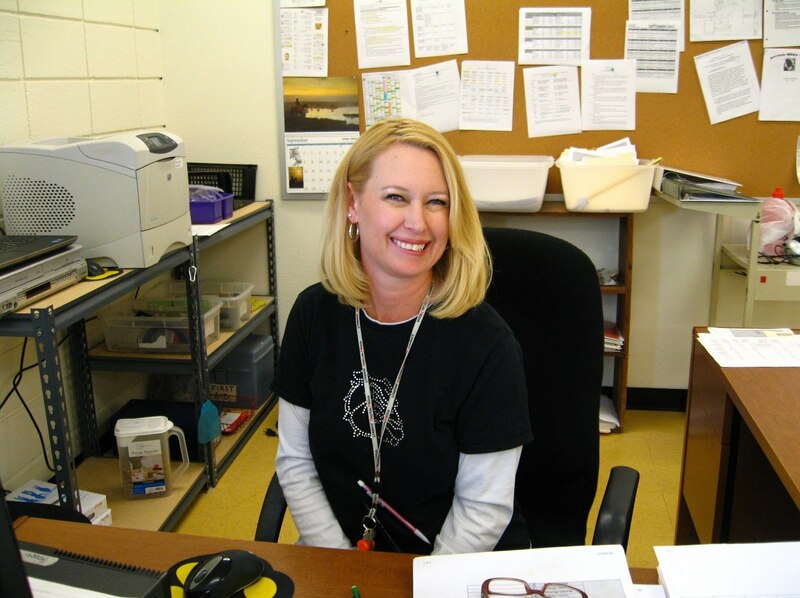 Talk to other teachers, like Lynn Huggins. Now when I say “talk” to other teachers, I’m not being literal. You are very busy, I know that. So, when I say “talk” to other teachers, I mean check out groups on Facebook and Pinterest. Find a blog (wink) that resonates with you and subscribe (wink, wink). If you see/read/hear something that sounds interesting and unexpected, throw that into your business education lesson plans. I was thinking about what might take a high school business curriculum from good to great. I was sent back to rework my last project, not once, but three times! Even as an adult student, I was encouraged to keep going and really achieve a result that I didn’t know I was capable of achieving. Now when I look back at the original project I handed in, I can’t believe I thought it was A quality work. I also can’t believe how much I learned through that process of edits. What does this have to do with Lesson Plans for Business Education? I often hear that teachers feel a need to add more graded activities to their curriculum. I argue, do you need more grades, or do you need better grades. Sure, I know, sometimes as a teacher, you’re given certain requirements, and your hands are tied. But, are more grades providing better learning? Does it really mean your students put more effort into their studies and are truly proving mastery of the subject? Are your students doing just enough to get the particular grade they covet? What about those items they got wrong? Are they going back and learning that material, or are they simply moving on to the next topic? Do your students get the full impact of those business education lesson plans you worked so hard to prepare? In doing some research on this topic, I came across an article written by John Orlando , PhD entitled: Failure is an Option: Helping Students Learn from Mistakes. He describes a situation where a teacher who had a reputation of having the hardest class in the school, also only gave out A’s. How could this be? He sent students back to rework their papers over and over again until it was A quality. He expected great results from each and every one of his students, and through positive feedback, was able to teach and guide them to A results. Orlando speaks specifically about papers, but the same applies to projects and quizzes. How was my student experience different than Ralpie’s? Ralphie still doesn’t know why his paper wasn’t amazing. He sets out to prove his teacher wrong, and learns only that BB guns can in fact, shoot your eye out. What was wrong with his paper? Was it the subject matter? Bad grammar? Incomplete sentences? Do I know why my project didn’t get an A? You bet I do. Do I know how to make my next project better? Definitely. Did the requirement to go back and rework put importance on what I was doing? You bet’cha. Did I continue to learn and add to my mastery through the process? Absolutely. I can’t be the only one who has experienced this! Are you allowing time for and requiring rework in your lesson plans for business education? Are all your students ending their sememsters with an A in your class? Help students learn by fixing their mistakes, redoing work, and retaking quizzes and tests until they excel. Where Can I Find Microsoft Office 2010 Lesson Plans? Are your Microsoft Office 2010 lesson plans a blank slate?! Has your school has recently upgraded to Office 2010? If so, you might be scrambling. You might be asking yourself, “Where can I get Microsoft Office 2010 lesson plans? One option is online software as a service, such as our own Business&ITCenter21 online. The best software as a service options will provide you with engaging, interactive, and up-to-date curriculum. The content is designed to teach students basic and intermediate Microsoft Office skills. After content is presented, students can take quizzes. Later, module tests verify their achievement in the content areas. And not only is the curriculum provided, the best programs will include a grade book. The grade book helps you gauge how well your students are learning and understanding the content. You can reset quizzes and test and allow students to take them over as needed. The best part, both you and your students can access the program anytime, anywhere. Another option is Microsoft’s own Microsoft IT Academy Program. Here you’ll find customizable lesson plans. You will also find all sorts of valuable information and content for developing and refining your own Microsoft Office 2010 lesson plans. You can also check out Microsoft in Education for some great ideas. Yet another way, join online communities and follow some blogs online. If you’re not sure how to get started, try a “top 20 blog” list or something similar, such as Scholastic’s list. Do you have some great ideas about where to find Microsoft Office 2010 lesson plans? Please comment and share with other teachers here on our blog! Startup Weekends are 54 hour events where developers, designers, marketers, product managers and students come together to form teams, build products and launch startups. The events aim to be the best experiential entrepreneurship education available. You can think of it as FBLA for a wider audience. At this Startup Weekend, I experienced and observed some things that you should be sure you are including in your introduction to business lesson plans. I volunteered as a mentor/coach as soon as I found out that Startup Weekend was coming to Lancaster, PA. My job was to mingle with the teams and remind them about the importance of business plans, customer validations and revenue streams. Some of the participants were experienced entrepreneurs and others were students and regular folks who wanted to participate and learn. It was exciting to watch teams and individual develop understanding in the short period from Friday evening to Sunday evening. The event was also great for me personally. I know that textbook learning can provide a background but experiential learning is much more powerful, even in your introduction to business lesson plans. You can be the best lecturer in the world, but students will still learn better by doing. The teams were working hard on their business concepts but the organizers kicked them out of the building Saturday. Why? There is a limit to what you can learn by staying inside and thinking. You need to get out into the world and talk to your target market. Do your introduction to business lesson plans include sending your students out to talk to businesses and consumers? I explained the concepts of content marketing and long tail keywords to several young people over the weekend. One of them told me that it was better advice than they have ever received from their marketing consultants. Your students need to know these things, even though they don’t appear in the textbook. Things change fast on the Internet. Are you keeping your introduction to business lesson plans up to date? Will your students be ready? Some of the participants may continue working on their projects, while others will return to their normal jobs. It doesn’t matter if there are successful companies launched over the weekend. What matters is that everyone learned about entrepreneurship by practicing in a safe environment. Find the passion inside your students, connect it to your subject matter, and let your students create something real. Business Education Resources: Get Creative! We know–there is a vast amount of content to cover in your business education course. You can’t be everything to everyone so how are you juggling the diverse topics? Get creative about your business education resources! I recently read about some New York City schools that with the help of Citizen Schools had started an enrichment program that provides business mentors to middle school students. The program matches up students with volunteer business mentors who help the students to budget and market a fictional business. At the end of the 10 week period, the students present their work to their mentors and teachers. The program has been proven in other cities to increase attendance and achievement. With the vast amount of content to cover in a business education course, are you trying to be everything to everyone? You can’t be a subject matter expert in everything. Take a page from the New York City Schools and consider implementing a mentorship program. With the help of Citizen Schools, they started an enrichment program that provides business mentors to middle school students. The program matches up students with volunteer business mentors who help the students to budget and market a fictional business. At the end of the 10-week period, the students present their work to their mentors and teachers. The program has been proven in other cities to increase attendance and achievement. Local business owners might like to come in and share a specific experience or aspect of their business. Check with your students. What do their parents and networks do? They might have someone perfect for your next class on personal finance. Work with your local chamber of commerce. They might be willing to include a mention in their upcoming e-newsletter. And of course, your own networks. Who’s on Facebook talking about their latest achievement? Ask them in to talk about it to the class. You can make it as simple or as elaborate as you desire. Have your volunteers come in for a class period or two. Business volunteers can do more than talk about THEIR business and what they do. Assign your volunteers a topic, such as GNP, and allow them to cover that content. Perhaps having on-site visitors is too complicated or too much of an imposition on your volunteers. Why not have them “visit” your classroom via Google+, Skype, or Ovoo? All you and your volunteers need is a Web cam and a (free) account. Before the guest arrives, make sure your students understand this is material for which they will be responsible. Being a business education teacher doesn’t mean you have to be a subject matter expert in all areas of business. It means you know how to lead, engage and take advantage of creative business education resources. Take advantage of the business education resources that are all around you–your local business people. If you want to get the best results for your business students, Business&ITCenter21 is your answer! Differentiate instruction, flip your classroom, and blend learning all with one key tool. You can take advantage of pre-made lessons and automatic grading to save yourself a ton of time, and it'll keep your students engaged each and every day. Are you ready to take your classroom to the next level? Check out a quick demo of Business&ITCenter21 to see it for yourself!